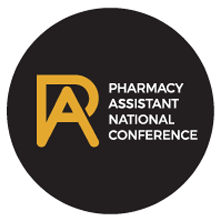 The Pharmacy Guild of Australia is pleased to announce the sponsors of the 2019 National Pharmacy Assistant of the Year Award. Following two years as major sponsor, Maxigesic has continued its support for pharmacy assistants and will once again be the major sponsor of the Pharmacy Assistant of the Year Award (PATY). Now in its 13th year, the Pharmacy Guild of Australia/ Maxigesic Pharmacy Assistant of the Year Award (PATY), is the premier award for Australia’s 35,000 pharmacy assistants. The Pharmacy Guild of Australia National President, George Tambassis said that the Award is the premier opportunity to recognise the outstanding contribution that pharmacy assistants make to the community pharmacy industry. “Pharmacy assistants are at the forefront of community pharmacy – providing care, compassion and connecting with people to make a difference. With the support of our major partners, we look forward to acknowledging and celebrating more pharmacy assistants than ever before,” Mr Tambassis said. “Alongside Maxigesic, GuildSuper and Retail Pharmacy will also support the award. In addition, I am pleased to once again welcome Glucojel as sponsor the Super Star Award, a subset of the main award which recognises outstanding customer service from our pharmacy assistants. “We’re pleased to partner with AFT Pharmaceuticals Pty Ltd in 2019, utilising the Maxigesic® brand, as well as Glucojel, GuildSuper and Retail Pharmacy to deliver this important and respected Award,” Mr Tambassis said.